The ongoing conflict in the Democratic Republic of the Congo is a long one, marked with political intrigue among nations, outside influences, ethnic tensions, and staggering amounts of violence. It is something that is often ignored in the mainstream media – even among the Obama-era ‘humanitarian interventions’ – even though it is the theater of the deadliest post-WW2 conflict (over three million people have died and many are still dying). The Congo has become a hell on earth; and to understand how the situation became as it is, a historical examination of the nation is needed and overdue. Having been quite late getting into the Great Game, Belgium moved with purpose in the early 1900s in trying to acquire an African colony. In 1906, the Belgians annexed the Congo, making two separate zones: Belgian Congo and the Congo Free States, the latter of which became King Leopold’s own personal fiefdom where he had complete control. His forces engaged in horrific acts such as holding “the [families] of [men] hostage until they returned with their rubber quota. Those who refused or failed to supply enough rubber often had their villages burned down, children murdered, and their hands cut off.”  Leopold’s main concern was the ivory and rubber trades. Eventually, the atrocities that occurred under his watch became widely known and he was forced to fold the CFS into the Belgian Congo. It was among this time that Congolese became politically awakened and active, namely in Leopoldville. Before discussing the political awakening in Leopoldville, it would be pertinent to first understand the economic situation of the Congo. During World War 2, the Congo was “an important source of raw materials, especially of copper, tin, industrial diamonds, rubber, and palm oil.” Afterward, due to the ever-increasing price of raw materials, the Congo economy expanded greatly: “In 1952 the value of exports was put at 20,000 million francs – an increase of 88 per cent as compared with 1948 – and by 1956 it had reached 28,000 million francs.” However, almost a decade later, a global decrease in the prices of the same raw materials caused the economy to stagger and created a large increase in unemployment (from 4,300 in September 1957 to 16,000 in March 1958), particularly in the Katanga region, a significant mining location. While this economic downturn contributed to the political awakening of the Congolese, they had already become politically active. In January 1945, the first indigenous newspaper, La Voix du Congolais (The Voice of Congo), appeared in Leopoldville; and in 1955, Conscience Africaine was introduced. In July of the following year, the Conscience published a manifesto which suggested that within 30 years the Congo should be independent. Several weeks later, “a cultural association of the Lower Congo, known as ABAKO (founded in 1950), led by M. Joseph Kasavubu, improved on the ‘manifesto’, demanding complete and immediate emancipation and entirely rejecting the idea of a thirty-year preparatory period.”  This political awakening soon manifested itself in the Leopoldville riots. Though the riots became political, they were economic in origin. Due to the decline in the prices of raw materials, the budget dropped to a 5 million-pound deficit in 1957, and tripled to 15 million pounds in 1958. In the face of runaway unemployment, the government denied there were any problems. On January 4, 1959, following economic turmoil and the government’s refusal to recognize such, riots ensued and lasted for three days. The force publique (the gendarmerie) was used to prevent the rioters from entering the European town. These riots forced the Belgian political establishment to acknowledge that there were in fact a multitude of problems, and to embrace reform. In seven months, “from January to August, forty acts and ordinances containing discriminatory regulations were abolished or changed,” although discrimination still remained in the European towns. The Congo was given a charter of freedom and, “for the first time, freedom of assembly, of the press, and of speech was finally recognized.” Local elections formed and the first municipal elections took place in Leopoldville and several other towns in late 1957 and early 1958. Also in 1958, the Congolese National Movement political party was formed by Patricia Lumumba. The Movement focused on Congolese nationalism and created a large political rift in domestic Congolese politics, “[dividing] those who [wished] for a strong unitary state from those wanting a federal system of largely autonomous provincial governments based on primary [ethnic] alliances.”  After the riots, three Abako leaders, including Kasavubu, were arrested and flown to Belgium to face trial – a trial that would only worsen the racial tensions in the colony. Nevertheless, the announcement resulted in a scramble to form political parties. The result was that in May 1960, “Of the seven major ‘parties’ in the Congo, none gained enough seats in the election to assure it of even 30 percent of the votes in the Chamber of Representatives. Patrice Lumumba, whose MNC party won some 38 of the 137 seats, emerged as leader of the largest single bloc.” Of the other parties, “the Abako, under Joseph Kasavubu, the Conakat party of Katanga, led by Moise Tshombe, and a dissident wing of the MNC led by Albert Kalondji in Kasai Province, together garnered about 27 votes, but were allied chiefly by their growing opposition to a tightly centralized, unitary type of government.” Ultimately, the philosophical conflict between having a centralized government versus a nation of largely autonomous provinces was a major source of division in the formation of the new Congolese government. A spat between Kasavubu’s Abako party and Lumuba’s MNC quickly escalated. Based on the weak elections of the MNC, the Belgian Resident Minister allowed Lumumba to look into forming a coalition government. However, Lumumba was unsuccessful as he was unable to persuade Kasavubu and his Abako party to join him, thus the offer was given to Kasavubu. Lumuba refused to work with the Abako party. On June 20th, it was reported that “a ‘deal’ was apparently taking shape, whereby Mr. Lumumba would head the Government as Premier and Mr. Kasavubu would become Chief of State.”  Lumumba would eventually become Premier of the Congo, after being offered the Premiership by the Belgians; however, more drama was to come in the form of a military mutiny, two secessions, and a UN intervention. This article was originally posted on The Hampton Institute. As public interest in African affairs briefly found a place in mainstream talking points following a controversial viral video campaign about Ugandan rebel group, the Lord’s Resistance Army (LRA), both the United States and the African Union are mobilizing military forces to Central Africa to counter further threats to civilian safety posed by the group. Following the US deployment of one hundred military personnel to Uganda in 2011, the African Union has deployed a 5,000-solider brigade to LRA affected areas, tasked with pursuing the group and its leader, Joseph Kony . 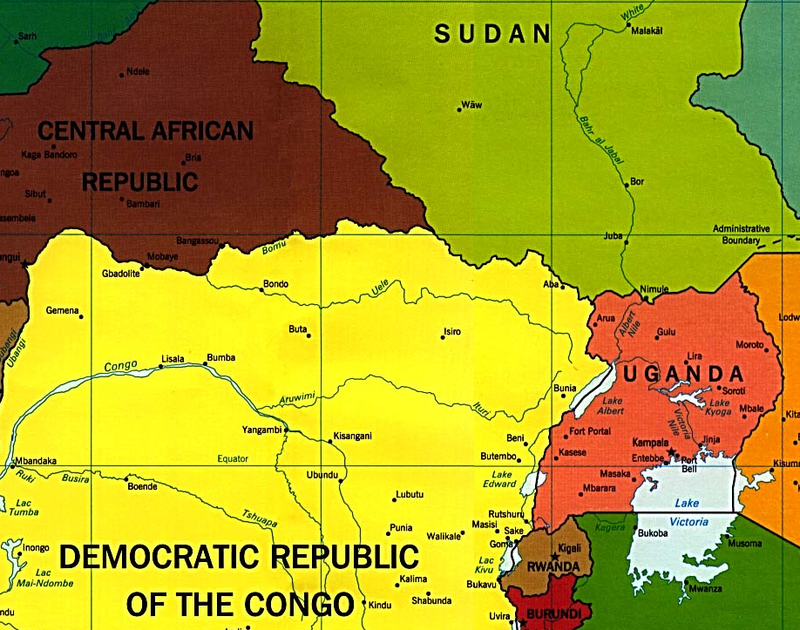 In the United States, a new bill co-authored by U.S. Representative Edward Royce has been introduced to the Congress calling for the further expansion of regional military forces into the nations of the Democratic Republic of the Congo, Central African Republic and the newly formed South Sudan . Although the Lord’s Resistance Army has been accused of recruiting child soldiers and conducting crimes against humanity throughout its two-decade campaign for greater autonomy against the Ugandan government, the group is presently comprised of less than four hundred soldiers  and remains a questionable threat. Meanwhile, China’s deepening economic engagement in Africa and its crucial role in developing the mining and industrial sectors of several nations is reportedly creating “deep nervousness” in the West, according to David Shinn, former US ambassador to Burkina Faso and Ethiopia . As the Obama administration claims to welcome the peaceful rise of China on the world stage, recent policy shifts toward an increased US military presence in several alleged LRA hotspots threaten deepening Chinese commercial activity in the Democratic Republic of the Congo, widely considered the world’s most resource rich nation . As China maintains its record of consistently strong economic performance, Washington is crusading against China’s export restrictions on minerals that are crucial components in the production of consumer electronics such as flat-screen televisions, smart phones, laptop batteries, and a host of other products. As the United States, European Union and Japan project international pressure on the World Trade Organization and the World Bank to block financing for China’s extensive mining projects , US Secretary of State Hilary Clinton’s irresponsible accusations of China perpetuating a creeping “new colonialism” of the African continent remain rather telling . As China is predicted to formally emerge as the world’s largest economy in 2016 , the successful aggregation of African resources remains a key component to its ongoing rivalry with the United States. The villainous branding of Joseph Kony may well be deserved, however it cannot be overstated that the LRA threat is wholly misrepresented in recent pro-intervention US legislation. The vast majority of LRA attacks have reportedly taken place in the north-eastern Bangadi region of the Democratic Republic of the Congo, located on the foot of a tri-border expanse between the Central African Republic and South Sudan. However, the small number of deaths reported by official sources in recent times relies on unconfirmed reports where LRA activity is “presumed” and “suspected” . Considering the Congo’s extreme instability after decades of foreign invasion, falsely crediting the LRA with the region’s longstanding cases of violence for political gain becomes relatively simple for those looking to gain enormous contracts for Congolese resources. In a 2010 white paper entitled “Critical Raw Materials for the EU,” the European Commission cites the immediate need for reserve supplies of tantalum, cobalt, niobium, and tungsten among others ; the US Department of Energy 2010 white paper “Critical Mineral Strategy” also acknowledged the strategic importance of these key components . In 1980, Pentagon experts acknowledged dire shortages of cobalt, titanium, chromium, tantalum, beryllium, and nickel, eluding that rebel insurgencies in the Congo inflated the cost of such materials . Additionally, the US Congressional Budget Office’s 1982 report “Cobalt: Policy Options for a Strategic Mineral” notes that cobalt alloys are critical to the aerospace and weapons industries and that 64% of the world’s cobalt reserves lay in the Katanga Copper Belt, running from southeastern Congo into northern Zambia . During the Congo Wars of the 1996 to 2003, the United States provided training and arms to Tutsi Rwandan and Ugandan militias who later invaded the Congo’s mineral rich eastern provinces to pursue extremist Hutu militias following the Rwandan genocide. Although over six million deaths were attributed to the conflict in the Congo , findings of the United Nations suggest that neighboring regimes in Ugandan, Rwanda and Burundi benefitted immensely from illegally harvested conflict minerals, later sold to various multinational corporations for use in consumer goods . The US defense industry relies on high quality metallic alloys indigenous to the region, used primarily in the construction of high-performance jet engines. The sole piece of legislation authored by President Obama during his time as a Senator was S.B. 2125, the Democratic Republic of the Congo Relief, Security, and Democracy Promotion Act of 2006; Section 201(6) of the bill specifically calls for the protection of natural resources in the troubled regions of eastern Congo . The Congo maintains the second lowest GDP per capita despite having an estimated $24 trillion in untapped raw minerals deposits ; it holds more than 30% of the world’s diamond reserves  and 80% of the world’s coltan , the majority of which is exported to China for processing into electronic-grade tantalum powder and wiring . The control of strategic resources in the eastern Congo is a vital element of the ongoing US-China rivalry, as Chinese commercial activities in the DRC continue to increase in the fields of mining and telecommunications. The Congo exported $1.4 billion worth of cobalt to China between 2007 and 2008 , while the majority of Congolese raw materials like cobalt, copper ore and a variety of hard woods are exported to China for further processing ; 90% of the processing plants in resource rich southeastern Katanga province are owned by Chinese nationals . In 2008, the International Monetary Fund (IMF) blocked a trade deal between a consortium of Chinese companies, who were granted the rights to mining operations in Katanga in exchange for US$6 billion in infrastructure investments, including the construction of two hospitals, four universities and a hydroelectric power project. The framework of the deal allocated an additional $3 million to develop cobalt and copper mining operations in Katanga, but the IMF argued that the agreement between China and the DRC violated the foreign debt relief program for so-called HIPC (Highly Indebted Poor Countries) nations . The marginalization of China by financial regulatory bodies is a strong indication of its throttling rivalry with American and European corporate communities, many of who fear being diluted in China’s increasing economic orbit. While subtle economic warfare rages between partnered superpowers, the increasing western military presence in the Congo is part of a larger program to expand AFRICOM, the United States Africa Command, through a proposed archipelago of American military bases in the region. In 2007, US State Department advisor Dr. J. Peter Pham offered the following on AFRICOM and its strategic objectives of “protecting access to hydrocarbons and other strategic resources which Africa has in abundance, a task which includes ensuring against the vulnerability of those natural riches and ensuring that no other interested third parties, such as China, India, Japan, or Russia, obtain monopolies or preferential treatment” . The push into Africa has more to do with destabilizing the deeply troubled Democratic Republic of the Congo and capturing its strategic reserves of cobalt, tantalum, gold and diamonds. More accurately, the US is poised to employ a scorched-earth policy by creating dangerous war-like conditions in the Congo, prompting the mass exodus of Chinese investors. Similarly to the Libyan conflict, the Chinese returned after the fall of Gaddafi to find a proxy government only willing to do business with the western nations who helped it into power . The European Union’s recently offered contribution of $12 million to joint military operations against the ailing Lord’s Resistance Army suggests signs of a coming resource war in Central Africa . In a report from the World Bank, Africa’s economic development was outlined as a “golden opportunity for a green future”. At the 4th Africa Carbon Forum (ACF) “The vast potential represented by African countries in the fight against climate change cannot be underestimated,” said Christiana Figueres, Executive Secretary of United Nations Framework Convention on Climate Change (UNFCCC). The ACF held a conference where policymakers, project developers, and private investors discussed climate-smart agriculture, public and private partnerships and funding for projects. However, it is clear that Africa holds more promise than just the inception of carbon emission reduction and carbon finance. The attraction of Africa is its rich wealth of natural resources. This continent contains enormous deposits of diamonds, cobalt, copper, uranium, magnesium and tin. Over $1 billion in gold is mined each year. The UK’s Department of International Development, along with researchers from the British Geological Survey and the University of London found underground aquifers of clean and untouched water in Africa that are 100 times the amount found on the surface of the continent. Through the convergence of multi-national corporations onto Africa, there has been an obvious initiative to corporatize the continent’s resources. An $11 million dollar project funded by the Bill and Melinda Gates Foundation and the Coca-Cola Corporation are employing 50,000 Kenyan and Ugandan smallholders to produce fruit for Minute Maid, a subsidiary for Coca-Cola. The UN has announced plans to allow corporations and foreign governments to land grab in African nations like Ethiopia, South Sudan, Democratic Republic of Congo and Sierra Leone. Africa has “voluntarily” signed agreements with multi-national corporations and foreign investors, allowing them to control agricultural land. The nation’s leaders believe that giving access to their resources will benefit their people; however this is just another manipulative ploy to coercively acquire control over land, food production and securitization. The document entitled “The UN Global Compact and the OECD Guidelines for Multinational Enterprises” outlines through “voluntary” means how the UN will implement their international guidelines with respect to corporate conduct, standards and abilities. President Obama will soon publicly announce his $3 billion plan to securitize Africa’s food supply and agricultural farms. The UK, multi-national corporations, some African countries and other G-8 nations will be joined together as the New Alliance for Food and Nutrition Security (NAFNS). The CEOs of 40 US privately owned corporations have pledged $3.5 billion in food and nutritional assistance alongside the government. The New Alliance for Food and Nutrition Security will be established to carry out collaborative efforts with private investors and corporations, under the oversight of Obama. The initiative will implement model farms and training centers. Yet, it is not just the securitization of agriculture, natural resources and water that is attracting corporations, the UN and Obama to Africa. Africa is to be transitioned into a technological hub, focusing on technology research. Under the promise of employment opportunities and improving educational institutions, the actual agenda is the diversification of strategies with foreign partners that will facilitate manufacturing industrialization and technological development through the corporate takeover of Africa. Under careful control, the UN has planned to create an Africa that will become not only the food center of the world, but also the single processor of the world’s communications. The ICT Sector Unit, a department of the World Bank, has plans to turn Africa into a centralized internet epicenter where the flow of information and communications are under UN governance. They will provide governments and private organizations with the directives and capital to infiltrate Africa through corporatism. The creation of infrastructure and eGovernment projects will be handled solely through the ICT. The funding will come from donors, international organizations and non-government organizations (NGOs). Telecommunications think-tanks with regional telecommunication associations will work with private sector “experts” and the UN’s International Telecommunications Union (ITU) to construct a technological industry that will yield not only profit, but power. By whatever means necessary, their goal is to facilitate the flow of communication; which is completely under their dominion. One initiative already in progress is the Square Kilometre Array (SKA) radio telescope project; a $2 billion investment that is meant to be the biggest research instillation in the world. Billions are being poured into the development of this project by foreign investors. On April 4th, the SKA Organization held a two-day meeting in The Netherlands, concluding with a press statement that they want to take an “inclusive approach” to the location of the project. That location has become the continent of Africa. The project would be a joint venture between the governments of South Africa and other participating nations, but the majority of costs would come from the privately funded SKA Organization. The SKA project is part of the ICT’s plan to create a broadband universal portal that will be the access point by which online resources and information are disbursed throughout the world. Under the Broadband Commission for Digital Development , the UN’s Millennium Development Goals will be met as their universal portal will become the centralized broadband Internet provider to the world. The ITU will be in conference at the end of this year, with major telecommunication and information corporations to devise a treaty that will regulate important aspects of the Internet, as well as create jurisdiction over telecoms and ICT industries. This international treaty will effectively control all communication as we know it. The treaty will give the UN unilateral governance over the Internet, as well as telecommunication issues such as accounting rates and termination charges for next-generation networks, data privacy, cyber security, international mobile roaming, and equipment specifications. Africa is going to be the centralized network of global controls that force all other nations and countries to become dependent upon the UN. This is how the UN ultimately plans to achieve global governance. You can help support this information by voting on Reddit HERE. Susanne Posel is the Chief Editor of Occupy Corporatism. Our alternative news site is dedicated to reporting the news as it actually happens; not as it is spun by the corporately funded mainstream media. You can find us on our Facebook page. Today on Press For Truth TV we take a look at the significance of the date April 20th in history. There are many researchers into the occult who have pointed out the relevance of this date and the interesting connections to Adolf Hitler. We also explore the Kony 2012 campaign that is set for a day of action today which was organized by the group known as invisible children. We receive no sponsorships or funding from anyone and rely on you the viewer to help us continue to do this work. With your help I can continue to make videos and documentary films for youtube that are raising awareness all over the world. Please support independent media by joining Press For Truth TV! I will continue to work tirelessly at exposing the global elite and their plans for a new world order. Youth Movement Promotes US Military Presence in Central Africa. Invisible Children has partnered with two other organizations, Resolve and Digitaria, to create the LRA Crisis Tracker, a digital crisis-mapping platform that broadcasts attacks allegedly committed by the LRA. On its list of corporate sponsors, Resolve lists Human Rights Watch and the International Rescue Committee. Digitaria’s website boasts commercial clients such as CBS, FOX, MTV, ESPN, Adidas, NFL, Qualcomm, NBC, National Geographic, Hasbro and Warner Brothers. 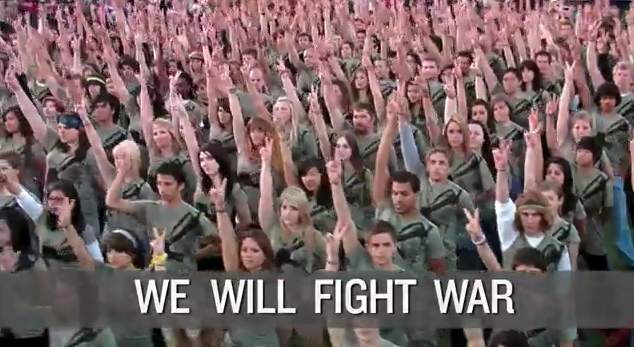 While KONY 2012 attempts to portray itself as an indigenous activist movement bent on bringing justice to African children, its parent organization is affiliated with the upper echelon of the US corporate media and a network of foundation-funded pro-war civil society groups with a long history of fomenting pro-US regime change under the banner of democratic institution building. Through AFRICOM, the United States is seeking a foothold in the incredibly resource rich central African block in a further maneuver to aggregate regional hegemony over China. DRC is one of the world’s largest regions without an effectively functioning government. It contains vast deposits of diamonds, cobalt, copper, uranium, magnesium, and tin while producing over $1 billion in gold each year. It is entirely feasible that the US can considerably increase its presence in DRC under the pretext of capturing Joseph Kony. The US may further mobilize group forces, in addition to the use of predator drones and targeted missile strikes, inevitably killing civilians. In a press conference at the House Armed Services Committee on March 13, 2008, AFRICOM Commander, General William Ward stated that AFRICOM will further its regional presence by “operating under the principle theatre-goal of combating terrorism”. During an AFRICOM Conference held at Fort McNair on February 18, 2008, Vice Admiral Robert T. Moeller openly declared AFRICOM’s guiding principle as protecting “the free flow of natural resources from Africa to the global market”, before citing China’s increasing presence in the region as challenging to American interests.The crimes of the Lord’s Resistance Army have been documented in the past and they are truly despicable actions. Presently, the operations of the LRA have nearly dissolved and their presence in the Democratic Republic of the Congo is difficult to verify. While the pro-war filmmakers behind KONY 2012 naively call for the US military to assert its place in the conflict, an independent fact finding mission would be far more effective in assessing the seriousness of the LRA threat in the present day. Editor’s Note: Please also read about verified Western atrocities carried out in Uganda on behalf of the same corporate neo-imperial profiteering dressed up as “feel-good” activism. 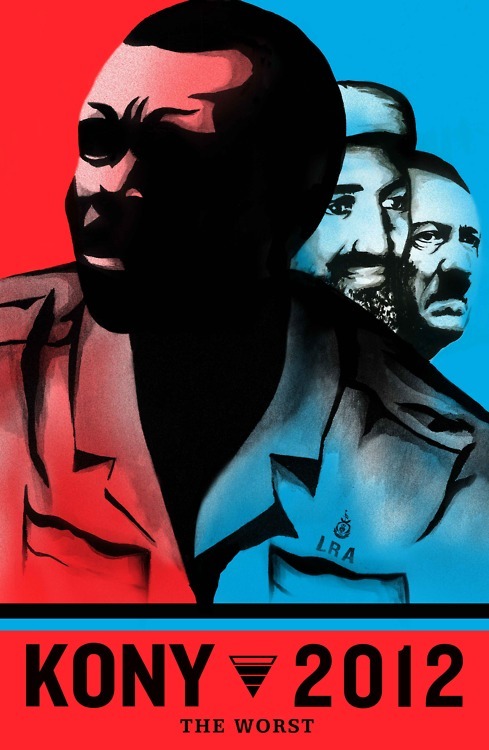 Today we discuss the Kony 2012 viral marketing campaign which was launched by an organization called “Invisible Children” which calls for military intervention in Africa in order to arrest the leader of the LRA (Lord’s Resistance Army) Joseph Kony. Millions of people all over the world are jumping on the Kony 2012 bandwagon and so today we ask the question Cui bono (who benefits?). Children in Africa? Or the military industrial complex?